The Prime Minister on January 9 dedicated to the nation, Gangajal project, which will provide Agra with better and more assured water supply, at an estimated cost of Rs.2880 crores. Gangajal project aims to bring 140 cusecs of Ganga water to Agra. This will help meet the drinking water demands in the city. Prime Minister laid the foundation Stone of Integrated Command and Control Centre for Agra Smart City. In this project CCTVs will be installed throughout Agra City for monitoring and surveillance for the purpose of safety and security. This will help to develop Agra as a modern world class smart city, befitting its stature as a premium tourist destination, at a total cost of Rs.285 crores. Addressing a rally at KothiMeena Bazaar in Agra today, the Prime Minister said, ”With the projects like Gangajal project, and facilities like CCTV cameras, we are taking steps towards making Agra a Smart City.” The Prime Minister added that these facilities will also attract tourists. Under Ayushman Bharat Yojana. the Prime Minister laid the foundation stone of the upgradation of SN Medical College in Agra. It will result in creation of 100 bed maternity wing in the Women’s hospital, at an estimated cost of Rs.200 Crore and add to the health and maternity care for the weaker sections of the society. The Prime Minister lauded Ayushman Bharat Yojana and said that more than 7 lakh people have availed the benefits under the scheme within a span of 100 days. The Prime Minister said, “I have been trying to live up to the full potential of the mandate you have given me four and a half-years ago against corruption. 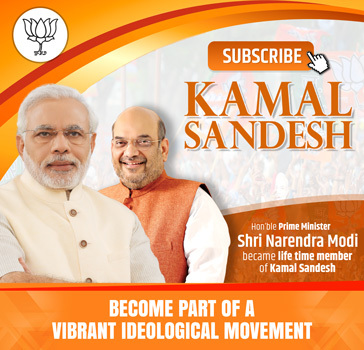 This is the reason why some people have begun to gather against this chowkidar”.Emphasizing the priorities of his Government, the Prime Minister reiterated that Panchdhara – five facets of development hold the key to the progress of nation. These include education for children, irrigation for farmer, livelihood to youth, medicines for elderly, grievance redressal to everyone. 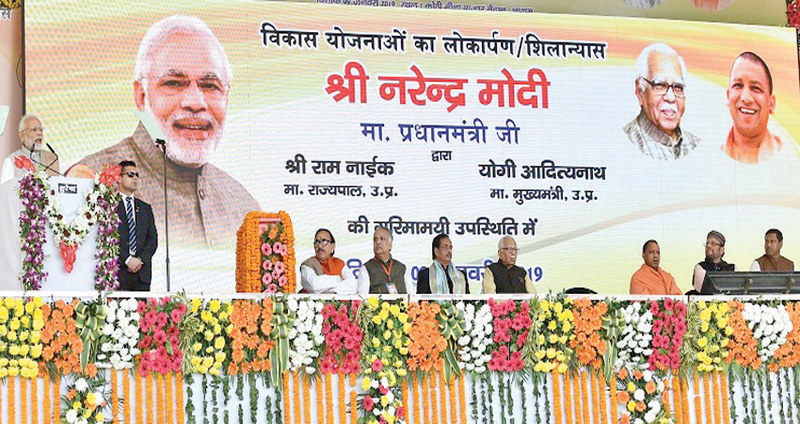 Prime Minister laid the foundation stone of sewerage network project for the western part of Agra. under AMRUT scheme. The project will lead to improved sanitation facility in over 50000 houses.